Approving B.Com Honours stream in the Islamia College of Science and Commerce, Srinagar, Chief Minister, Omar Abdullah today underlined consolidation as an essential ingredient in achieving excellence in higher education. Chairing the Governing Body meeting of the College here this morning, the Chief Minister asked the Kashmir University to do the needful in this regard within a week’s time. He said that imparting quality education is imperative to produce best subject matter specialists as per the market compatibility and higher educational institutions should benchmark it in their academic programmes. The Governing Body (GB) meeting of the College was held after the lapse of over nine years under the directions of Omar Abdullah who is also Chairman of the GB to review the academic progress and infrastructure development of the college. And take decisions about the futuristic plans and strengthening of the college on modern lines. 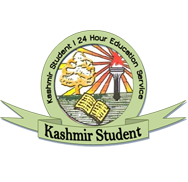 The Chief Minister said that the prestigious Islamia College is known for its specialty in Commerce and the need is to further strengthen this stream and introduce subjects of marketability and present day relevance in the academic schedule of the college. Omar Abdullah said that imparting quality education should be target of all educational institutions and Higher Education Department in consultation with the Universities should thoroughly look into the subjects taught in the higher educational institutions to make these job oriented and as per modern trends in science and technology. The Chief Minister directed the Islamia College authorities to explore possibilities of enhancing the area of the college for futuristic expansion and addition. “Option for vertical constructions instead of horizontal increase should be taken into account while looking for the expansion”, he added. The meeting was attended by Minister for Higher Education, Abdul Gani Malik, Chief Secretary, Madhav Lal, Vice Chancellor, Kashmir University, Riyaz Punjabi, Principal Secretary Agriculture, Iqbal Khandey, Commissioner Secretary Higher Education, Tanveer Jahan, Commissioner Secretary Finance, Sudhanshu Pandey, Commissioner Secretary Industries, Umang Narulla, Secretary Information and Technology, M. K. Divadi and other Members of the Governing Body besides Principal of the College, Mohammad Saleem Khan and senior Professors. 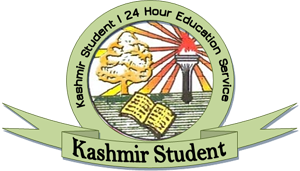 The Principal in his statement informed the Governing Body that Islamia College has 75 percent doctorates on its staff and the University Grants Commission of India has granted the college autonomous status besides awarding Rs. 1.5 crore for being the best college of the State. He said that the reconstruction of all the gutted structures has been completed and construction of an OBC hostel at a cost of Rs. 574 lakhs is under progress. Explaining the agenda items Prof. Nazir Ahmad gave resume of the activities of the college in academic field and on the front of infrastructural development. The meeting discussed the budget, reconstruction programme, enhancing the area, introduction of new courses, creation of teaching and non-teaching posts, in-take capacity of the college, introduction of B.Com Honours and other relevant matters pertaining to the development and strengthening of the college in detail.